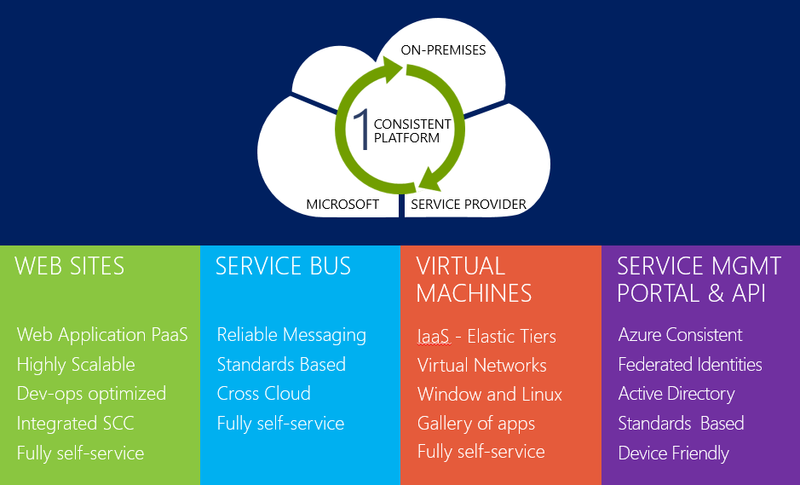 The Cloud Platform System (CPS) portfolio of integrated systems provides an Azure-consistent cloud-in-a-box for your virtualized Windows and Linux workloads, accelerating your journey to cloud with a factory-integrated solution. 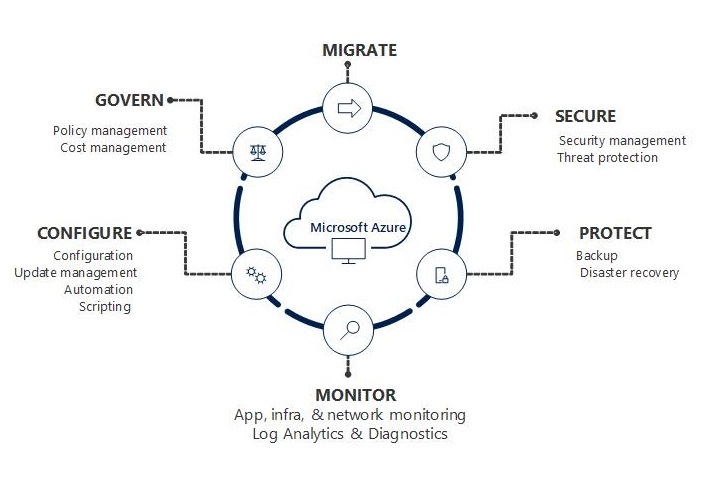 CPS combines Microsoft’s proven software stack of Windows Server 2012 R2, System Center 2012 R2, and Windows Azure Pack, with server, storage, and networking hardware from industry leading vendors. CPS improves your time-to-value and enables a consistent cloud experience, allowing you to scale from as small as four nodes with CPS Standard to up to 128 with CPS Premium, depending on your needs. 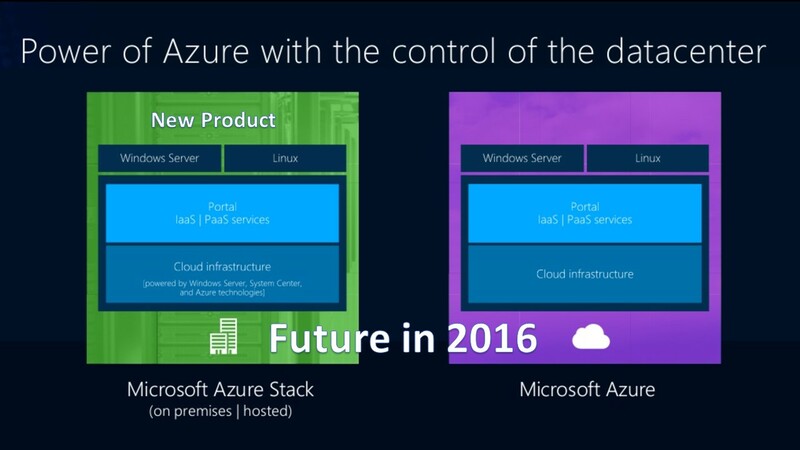 Categories: Azure, CPS, Microsoft Azure, System Center 2012 R2, Windows Server 2012 R2, WindowsAzure, WindowsAzurePack | Tags: CPS, dell, Microsoft, PrivateCloud, sysctr | Permalink. 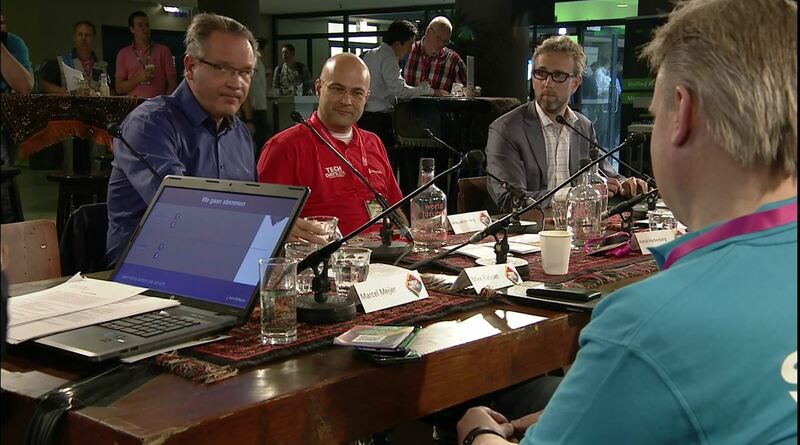 This was really great to do on the Dutch Microsoft Techdays 2015 Ask Me Anything sessions. 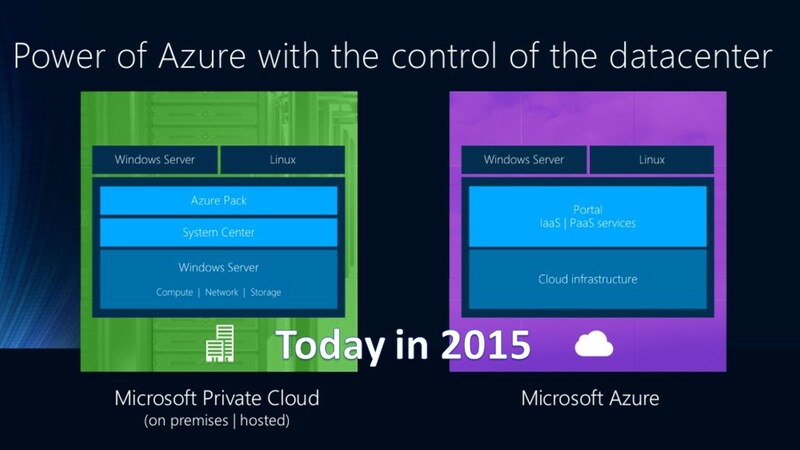 Here you can find all the Ask Me Anything Video sessions of Microsoft Techdays 2015 Netherlands. 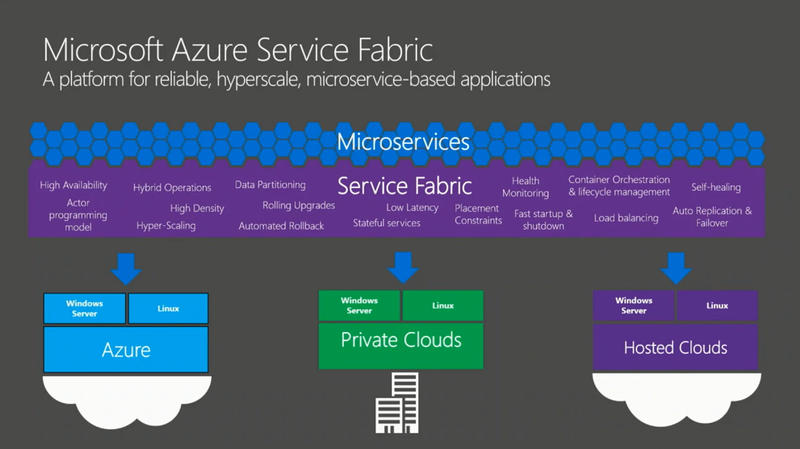 Categories: Azure, CPS, Microsoft Azure, Windows 10, Windows Server 2016, WindowsAzure, WindowsAzurePack | Tags: Azure, AzureStack, Cloud, HybridCloud, MVPBUZZ, PrivateCloud, sysctr, WAPack | Permalink. 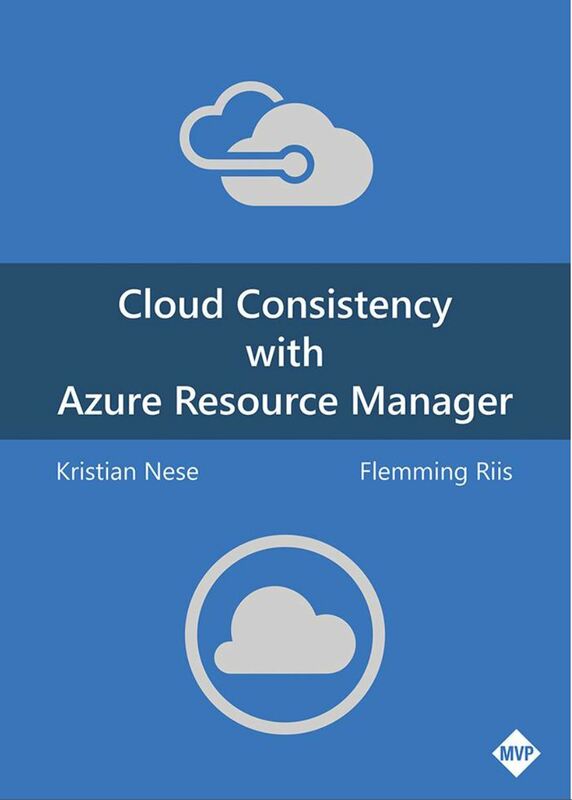 Cloud Consistency with Azure Resource Manager in anticipation of Microsoft Azure Stack, this AWESOME whitepaper of Kristian Nese and Flemming Riis is focusing on Azure Resource Manager and will prepare you on how to create templates, deploy IaaS and PaaS as well as exploring many of its management capabilities. 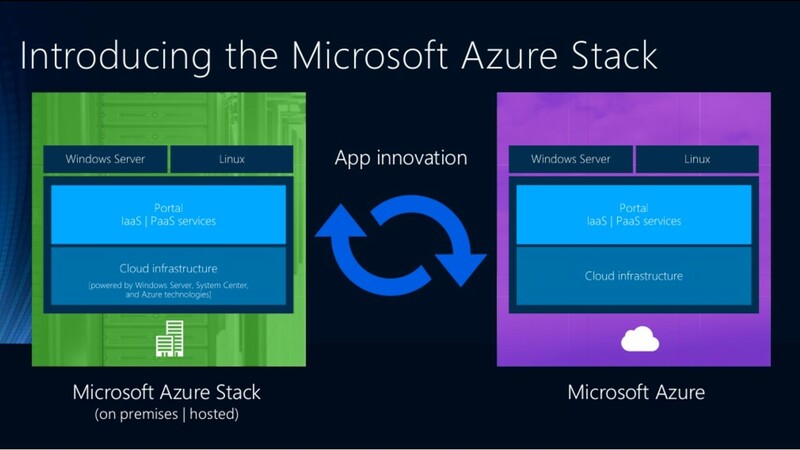 Categories: Azure, Azure Stack, CPS, Hyper-V, Microsoft Azure, PowerShell, SQL, System Center 2012 R2, System Center vNext, Windows Server 2016, WindowsAzure, WindowsAzurePack | Tags: Azure, AzureStack, Cloud, Powershell, PrivateCloud, ResourceManager, sysctr, WAPack | Permalink. How to deploy the Microsoft Remote Desktop Session Host (RDSH) workload on the Microsoft Cloud Platform System (CPS). Categories: CPS, WindowsAzurePack | Tags: Cloud, CPS, dell, Microsoft, PrivateCloud, WAPack | Permalink. 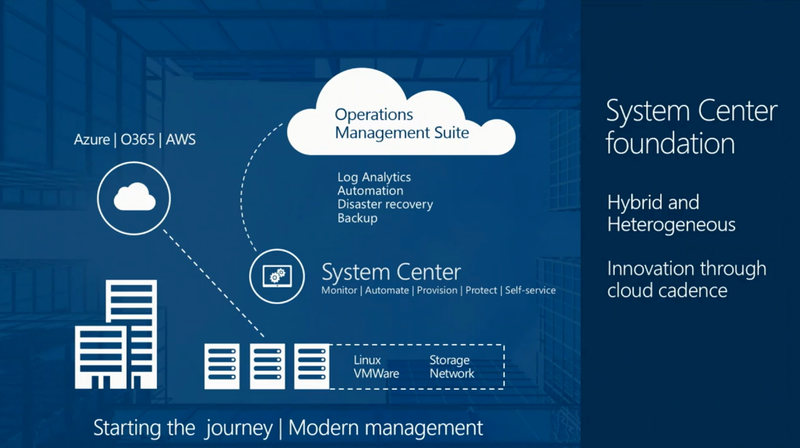 Watch this session with Mark Russinovich, Jeffrey Snover and Jeremy Winter to learn how you can continue to be a strategic partner to the business by leveraging the power of Microsoft Azure in your datacenter to deliver the rapid innovation your business requires. 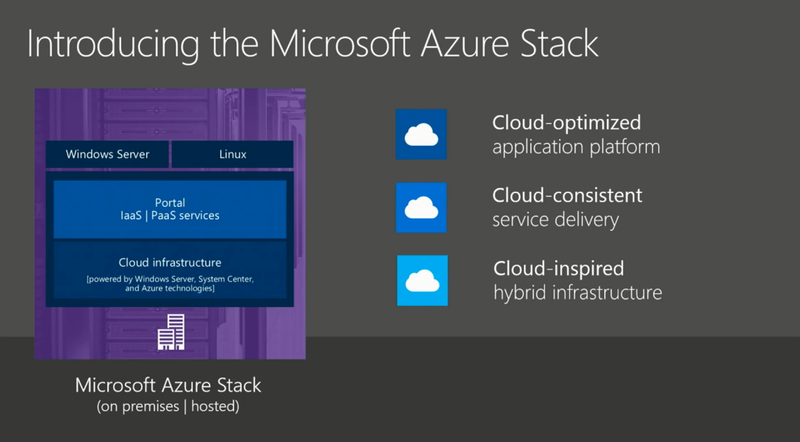 Categories: Azure, Azure Stack, CPS, Hyper-V, Microsoft Azure, NanoServer, PowerShell, System Center vNext, Windows Server 2016, WindowsAzure, WindowsAzurePack | Tags: Azure, AzureStack, Cloud, HyperV, Linux, PrivateCloud, sysctr, winserv | Permalink. Symptom Tenant users cannot set up and run background tasks to perform batch jobs that are related to their websites. The Windows Azure Webjobs functionality is not supported in the Windows Azure Pack (WAP) Websites Resource Provider. Resolution Tenant users now have access to this functionality through the WAP Websites Resource Provider. This functionality is enabled through the Administrator site when you configure a plan and make it available to tenants in the Tenants site. With this functionality, creation Webjobs creation can be run manually or continuously in the background. Symptom Tenant users cannot deploy to slots other than their production slot in a WAP Websites environment. 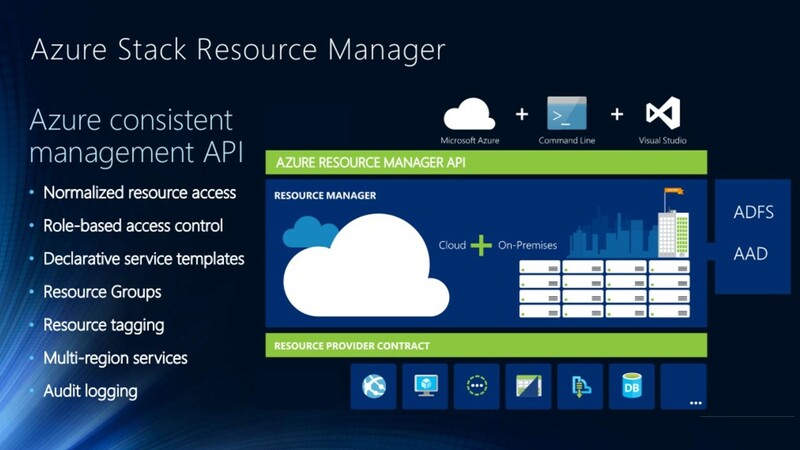 The Slots or Staging environments for Websites that are currently available in the public Azure Web App Service is not available in the WAP Websites Resource Provider. Resolution Tenants can now use deployment slots that are associated with their websites. Web app content and configuration elements can be swapped between two deployment slots. This includes the production slot. Symptom Tenant users cannot create a checkpoint of the current state of a virtual machine (VM) through the VMM/SPF Resource Provider. Resolution Tenants can now create a checkpoint of a virtual machine and restore it when this is necessary. This differs from the regular VM Checkpoints in that only a single Checkpoint can be created, and every time that a Checkpoint is created, the previous one is overwritten. 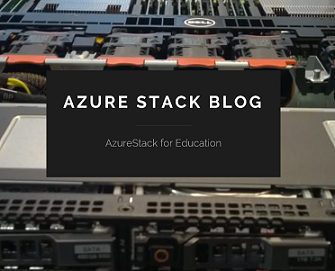 Adds support to maintain Data Consistency between the SQL Resource Provider configured properties for resources (such as databases, resource pools, and workload groups) with the actual provisioned resources on the SQL Server Hosting server (or servers). This allows for the detection of differences of the SQL Resource Provider configuration data after administrators directly change the SQL Server computer. Symptom SQL Server RP configuration data may become unsynchronized with the actual resources that are deployed in the target Instances of SQL Server. This issue occurs if changes are made directly to the servers and not through the WAP SQL Server RP. Resolution There’s a new set of RESTful API calls that enable the resynchronization of the SQL RP configuration data with the actual state of the target SQL Server. New UI artifacts are for review only; they do not have complete functionality behind them. Dependency on the URL Rewrite IIS Module has been removed. An incorrect error message is displayed when database creation fails because total server capacity is exceeded by the consumption defined in the plan. The Get-MgmtSvcSqlResourcePoolByTemplate command does not provide the expected output when it is provided with an invalid RG template ID. A tenant can delete any unmanaged database by guessing its name. Tenants cannot increase the size of their databases even after the administrator increases the quota for the plan. This release introduces a new interactive installation, upgrade, and offline installation process that addresses user feedback about the original process. A new Windows Azure Pack Web Sites Microsoft Management Console (MMC) snap-in is included in this update. This updates offers functionality that was previously available only through Windows PowerShell commands. In addition, the MMC snap-in can be used to perform clean installations on a stand-alone or preconfigured file server and to configure a secondary controller. If you implemented IP-based SSL by using VIP mapping or local address mappings with IPv6 addresses, please do not upgrade to Update Rollup 6 unless you migrate to IPv4 before you apply this update. This scenario is not supported in this update. However, it will be supported in a future update. Because of changes to IP-based SSL, Update Rollup 6 for Windows Azure Pack Websites version 2 uses additional TCP ports for communication between roles. These changes are listed in the following table. Those changes that are displayed in bold type are new in Update Rollup 6. Before you install or upgrade, you should make sure that communication with these ports is enabled. By default, SSL version 3 is enabled in Windows Azure Pack Web Sites version 2. You cannot add workers from the administrator portal. If services are currently running when the upgrade is started, a webhosting.msi upgrade may fail. Controller may operate on remote servers that do not belong to the controller. This issue can be caused by stale DNS entries. Installation fails when Hosting or Metering databases are already present, and no useful error messages are displayed. The cmdlet seems to finish. But when an IP restriction in a site’s Web.config file occurs, a 500.19 Http response is returned when a request to the site is made. After they upgrade to Update Rollup 4 for Windows Azure Pack Web Sites version 2 , users cannot access usage statistics from the metering database. If TrustedHosts is configured by Group Policy, Windows Azure Pack Web Sites cannot configure the TrustedHosts setting. This setting is needed to communicate with the file server through Windows Remote Management. 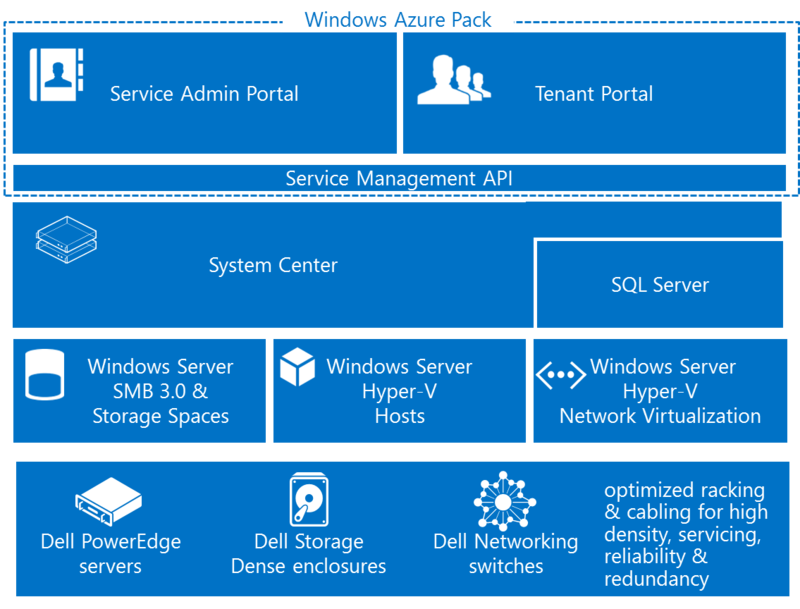 Categories: System Center 2012 R2, WindowsAzurePack | Tags: Cloud, PrivateCloud, SCVMM, WAPack, Websites | Permalink.